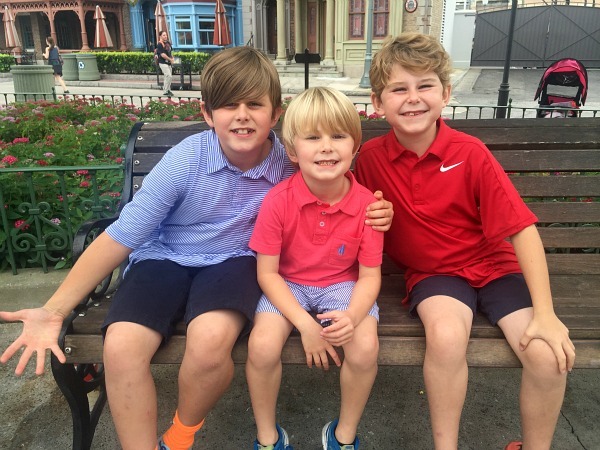 I’ve been asked many times: what manners should I be teaching my children? 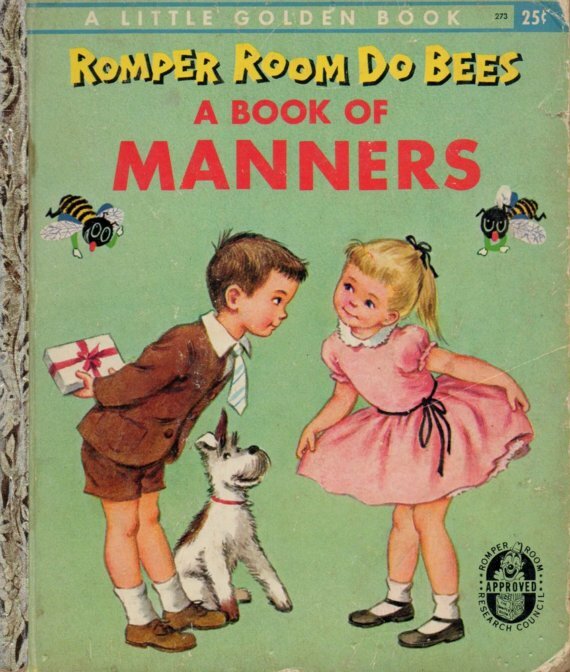 I am starting with boys’ manners today. Now I know I don’t have boys, but I am married to a man who was raised right so I have gleaned a lot from him. I also consulted my sister, who has three boys, as well as a few boy mom friends! My feeling on manners – as I’ve written before – is that they are not about pomp and circumstance, but really a way to put others first. They are a small way to love our neighbors. We live in such a “me” centered culture so teaching children to show respect toward others is definitely not easy. But I think it serves boys well in the long run – in courtship and in business. Now please don’t be offended that I am separating boy and girl manners. I do not apologize for the fact that I believe men and women are unique – equal, of course – but different. While many of the boy and girl manners overlap, I decided to break them into two posts because there are some manners that really apply only to boys and vice versa. My three nephews, who have excellent manners! 1. To honor and be respectful of his mother. This is the first thing my brother-in-law said when I asked him about the manners he is trying to instill in his boys. I often think of manners as how you treat people outside of your immediate family, but he is so right. We have all heard it many times: if you want to know how your boyfriend is going to treat you, look at how he treats and talks to his mother! This encompasses speech and behavior (keep reading for those!). 2. Have a firm handshake. My grandfather says you can tell a lot about a man by the firmness of his handshake. One time a date of mine didn’t shake his hand very hard and my grandfather immediately wrote him off -ha! But in all seriousness, I do think that a masculine, confident handshake is something all boys should be taught and will serve them well in life. This goes hand-in-hand with having a firm handshake and is a matter of respect. Personally, I am so embarrassed when a friend is talking to my girls and their eyes are darting around the room to find something better to occupy their attention! But I know reprimanding them in front of others is not really the best teaching tool. My husband is better at reminding our children before we go somewhere to look people in the eye. Some families have a secret reminder signal – maybe putting a hand on your son’s shoulder or tap twice on his back to remind him privately to look someone in the eye. The best thing is to start at home -requiring a boy to look his mother and father while they are speaking to him, or giving him instruction. 4. Hold doors open and offer seat to girls. I witnessed many “I can open a door just fine by myself” comments from women in New York and San Francisco when men tried to hold a door open for them. I understand how some might take this act as an insult. But what these women don’t understand is that men are not opening doors for them because they think women are incapable. Men are showing regard and honor toward them. In my opinion, pushing their way on through a door does not show respect (nor does it take men very far when dating!). And this includes car doors. My girls always see my husband walk around and open the door for me. And I am sure they will expect the same chivalry out of their dates! The boys at my daughters’ school are encouraged to open doors and pull out chairs for girls. But these habits can be practiced at home, too. The dinner table is a great place to practice these manners – with mom, sister, or even grandmother. Personally, I love seeing the pride on my nephews’ faces when I say, “thank you so much!” after they open a door for me. 5. Show respect towards elders and especially the elderly. There are many cultures where respect for the elderly is an utmost priority; sadly, in America, it is not. We are very child-centered nation and children have picked up on this! So it’s a struggle, I know, to teach this manner, particularly when the older set can seem a little intimating to young children. But it’s a worthy endeavor and our parents and grandparents and neighbors deserve it! This goes along with the previous one for sure. My nephews are so polite and always say “yes, ma’am” to me. Now I know the sir and ma’am things are definitely southern. So if you don’t want to teach sir and ma’am, you can teach children to say, “yes, please” and “no, thank you.” It shows the same level of respect in my opinion. 7. Use “Mrs., Miss, Mr. and Ms.” properly. I wrote an entire post on this subject, but in very few circumstances should a child call an adult by their first name. Using the appropriate title shows respect for those older than him. 8. No burping and passing gas in public. My sister recommended this “manner” to instill in boys. I cannot relate! I have no idea how she reigns this in among her boys, but she does. Usually by telling them that doing those things is not thinking about others who are around and may not want to witness or smell those boy things! 9. Write thank you notes. Boys are often given a pass on thank you notes, but I believe it is really important to harvest a thankful heart in boys. Taking the time to write friends and family for birthday and Christmas gifts makes them stop and reflect (hopefully!) on what someone has done for them. This will serve them well later in life as they get into the professional world. Maybe they won’t send a thank you note all the time, but they will remember to thank a client or boss for things bestowed upon them. I know some children are painfully shy (I have one!) but I do think, even with our shyest ones, and especially in this age where everyone texts, we need to teach children to be able to carry a conversation with adults. Again, this is a matter or respect. There is nothing cute about a 16-year-old that gives a curt one-word answer to every question he is asked. The training on this starts young, too. I remember having mock conversations with my oldest daughter when she was 6 years old. I gave her phrases to remember like “How are you today?” It really helped! Today she is able to carry on a conversation with just about anyone. Do you have boys? What would you add to this list? And stayed tuned for the girls’ manners post! Pin this post to remember what to teach your little boys! Katherine, I’m so glad you commented bc I agree completely about both. I actually wrote an entire post devoted to the Mr., Mrs. thing. I’m going to edit this to include a link to that post! Thanks! Great list Lee and definitely so important! Thank you! You do a fine job on these things! #10 is so important. Some children are born gifted conversationalist, but for others it is a skill that must be taught. I did not really realize this with my first, very personable child, but then along came quiet #2 who we are having to teach how to have a conversation. Also, I feel like it needs to be said that if this list feels overwhelming, take it one or two at a time. We spent the longest time with one child getting him to say “Hello Mr. So-n-So”…..but now he’s doing it. Mission accomplished….hooray! Now, step 2 – let’s look him in the eye when we say “Hello”. Baby steps! Great list! Along with the handshake and eye contact, one of things I’m working on is the proper introduction. “Hello, my name is…. Nice to meet you.” With a shy child (who also has eye muscle issues), the eye contact part is the hardest one for me because it almost looks painful for him. But, we are working on it! I also suggest signing boys up for activities with adults (especially men) who help children practice these things. Another thing I’m working on is how to order in a restaurant. “May I please have a hot dog” or “I would like a hot dog, please” rather than just saying “hot dog” or “I want a hot dog.” You can also tell a lot about a person by the way they treat those serving them whether it’s checking out at the grocery store or at a nice restaurant! I would just add that I think it is important to teach a child how to answer the phone and take a message at a certain age. With cell phone use I am worried this skill may be pushed aside but valuable nonetheless at a certain age. I enjoyed your post and saving for the future. Great point!! Thanks for sharing. As a mom of 3 boys, we have a manners bowl in the middle of dining table where we eat most meals, even if just on paper plates. Should any inappropriate table talk emerges while seated, the boys have to put a dollar in the bowl. It happened often at the beginning but happily, not many dollars are at home in the bowl anymore. I teach Cotillion, manners and etiquette to children and recommend it to all of my parents. Money talks, always. Love this idea! Thanks for sharing!!! Little girls should be taught to hold the door for little boys as well if we are teaching boys to do so for girls. It really communicates helplessness to girls to teach them to expect to have the door held open but not to do it for others. This is why I hold the door for everyone when possible. 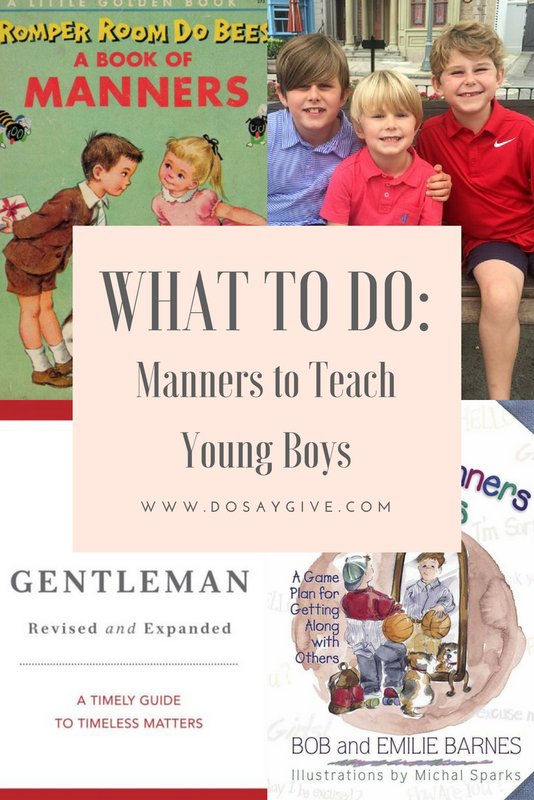 I teach my boys to be polite, but that doesn’t necessarily go hand in hand with these specific regimented rules and rituals. You can be progressive in your ideas while still being polite. I value being kind while being authentic. Likewise, some of the “most mannerly” people I’ve ever met have somehow managed to be the most passive-aggressive and saccharine people I’ve ever met. They will be just darling to you but then throw in something hurtful, all with a “gracious” smile. I’d rather have someone be reasonably polite, while being real, and while being open to and respectful of other ways of seeing the world. My husband went to a military school and has impeccable manners (I think his parents had something to do with it, too!) It is definitely one of the things I found appealing about him early on, and I hope we can do an equally good job teaching our children to be courteous and respectful of others. Love this list, Lee! This may be a Southern thing, but something we recently taught our boys (ages 5 and 8) was to stand out of respect when when we are out at a restaurant and an older person (our friend or maybe even my parents’ friend) comes over to the table to say hello. Whenever they do it, the friend always gives them a big pat on the back and it makes everyone feel good. And it usually involves the boys in whatever short conversation ensues, so they tend to engage with the friend instead of misbehaving while we are distracted talking.